I haven’t posted here for a while and I was saddened to see my last post was shortly after the release of Rogue One. Good and happy times right? So what has happened in the last eighteen months? Quite a lot apparently. The Last Jedi turned out to be very divisive for our more vocal section of Star Wars fandom. So much so, that many ‘hater’ youtube channels sprang up demanding that Kathleen Kennedy be fired. That, in combination of the fact that Solo: A Star Wars Story was released a mere six months later (not a great idea in hindsight), resulted in Solo actually losing money at the box office from many fans staying away. Solo is actually a good movie, I really enjoyed it and feel it is an honest old fashioned action-packed romp true to the classic Star Wars DNA. We were even treated at the end with a surprise cameo by Darth Maul. My thoughts on The Last Jedi? After my first viewing I was genuinely disappointed with Luke’s death although I though as a movie it was solid enough. Having said that, on later viewings I’m not so sure. I think it’s safe to say it’s one of the weaker Star Wars movies. Potentially, it could have been great – lets face it we all wanted to see Luke pulling Star Destroyers out of the sky! Focusing on Luke’s death again, I think had Luke not died at the end of the movie and done something just as impressive as he did anyway I don’t there would have been such a fan backlash. Comparing TLJ with the prequel trilogy, I personally think TLJ is a better movie than Attack of the Clones (I really don’t like that movie). There was of course lots of hate for the prequels, but don’t forget social media didn’t exist at the time of the prequels – something I’m sure George Lucas was relieved about in hindsight. But this division of Star Wars fans while sad, shouldn’t be a surprise in an era of Donald Trump and of course Brexit. Literally in the last few days there is also strong indications that the Obi Wan spin-off movie has been cancelled alongside Rian Johnson’s planned trilogy. Let’s hope Episode IX is a strong movie for the sake of the future of Star Wars! The sequel to The Force Awakens has a very ominous title. It was announced today that Star Wars Episode VIII will be called The Last Jedi. Is Rey the last Jedi? Could the title mean that Luke will die? Or perhaps, it might mean Jedi in plural, just meaning Luke and Rey and any other Jedi that might decide to join them. What we do know for certain, is that The Last Jedi will be dark as is suitable for act II of a Star Wars series. It is also directed by Rian Johnson who is known to make more interesting and quirky movies. For the first time, the Star Wars logo is also emblazoned in what could be called ‘Sith red’. The other Star Wars middle movies tipped the balance of power towards the evil villains as in The Empire Strikes Back and Attack Of The Clones. We also know that The Last Jedi will begin immediately after the events of The Force Awakens, with no time gap in between. So who is the last Jedi? Luke, Rey or the group of them? We will have to wait until December to find out! Actress Carrie Fisher has died at the age of 60, People magazine reports. The Star Wars star suffered a cardiac arrest on Friday on a United Airlines flight from London to Los Angeles just before it landed at LAX. She was travelling back from promoting her new book The Princess Diarist. Paramedics were there when the plane landed and “provided Advanced Life Support and aggressively treated and transported the patient to a local hospital.” Her brother, Todd Fisher, told reporters that his sister was in the Intensive Care Unit. Best known for her role as Princess Leia in the original “Star Wars” trilogy which started in 1977, the character that propelled her into fame. In the 1980s, Fisher battled addictions to alcohol and drugs, which she wrote about in her first book, 1987’s “Postcards from the Edge.” The successful, semi-autobiographical novel is about an actress addicted to drugs and it was made into a movie in 1990 for which Fisher wrote the screenplay. Meryl Streep and Shirley MacLaine starred in the film. In 2008, Fisher released “Wishful Drinking,” an autobiographical book in which she wrote more about her struggles with addiction and mental illness. It was turned into a one-woman stage play starring Fisher and aired on HBO. In a 2015 interview with Diane Sawyer, Fisher publicly revealed her struggles with manic depression, a chemical disorder also known as bipolar disorder. Fisher returned to the “Star Wars” franchise in 2015’s Star Wars: Episode VII – The Force Awakens. She has just finished shooting Star Wars: Episode VIII due for release December 2017. In her new new book The Princess Diarist Fisher revealed that she had a secret love affair with Harrison Ford during filming of the first Star Wars movie. Carrie Fisher was born October 21, 1956 to Hollywood actor Debbie Reynolds and singer Eddie Fisher. She is survived by her daughter, Billie Catherine Lourd, from a previous relationship with agent Bryan Lourd. In this new era of regular Star Wars movies, my viewing of Rogue One was approached with mild caution and hope, there’s always hope. When you are such a huge Star Wars fan, it’s almost impossible to accurately judge how good a new Star Wars movie is on the first viewing. We all remember the hype machine of 1999 when The Phantom Menace was released – the first Star Wars movie for 16 years. We all swore it was a good movie, we must have – most of us watched more then five times at the theater! More recently The Force Awakens was also similarly hyped, although this time we were spared the three months of camping outside the theater – remember that? Now the dust has settled on The Force Awakens, I think we can safely say it’s a competent if slightly derivative episode of the saga. I bring all this up, because the real test of time is years – not days or even months to judge one movie against the other. So for me, Rogue One starts off slowly setting up the story. It already feels a little different with no opening crawl and no John Williams music, both firsts in a Star Wars movie. Former scientist Galen Erso lives on a farm with his wife and young daughter Jyn. 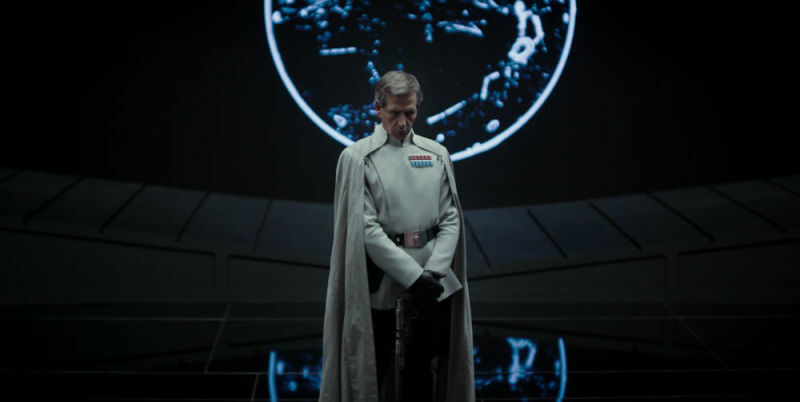 His peaceful life ends when the ambitious Imperial director Orson Krennic takes him away from his beloved family. Many years later, Galen is now the Empire’s lead engineer for the most powerful weapon in the galaxy, the Death Star. 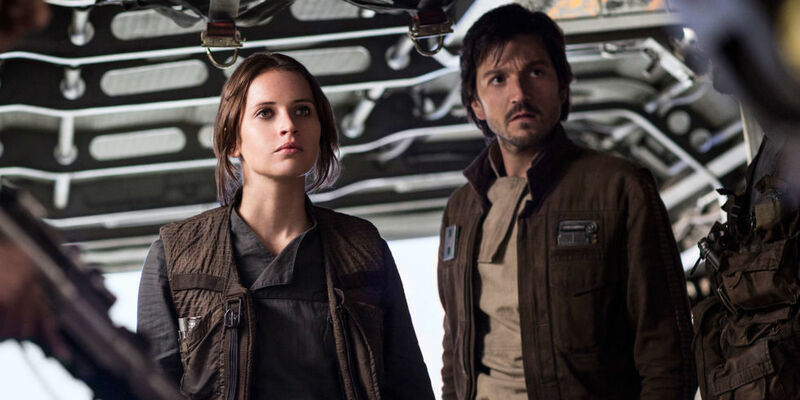 Knowing that her father holds the key to its destruction, a grown up Jyn joins forces with the rebels to steal the space station’s plans for the Rebel Alliance. Established rebel characters feature, such as Mon Mothma and General Dadonna, as well as a bunch of new heroes including Cassian Andor and reprogrammed Imperial droid K2SO to provide the sarcastic wise cracks. Probably the main talking point of Rogue One, was bringing Peter Cushing back from the dead as character Grand Moff Tarkin thanks to recent breakthrough CGI technology. It really is a watershed moment and which makes your jaw drop the first time you see it! The same trick is pulled at the movies conclusion with a brief scene of a young 1977 Princess Leia, to prove Tarkin wasn’t a fluke. Vader also features in a couple of powerful scenes which adds gravitas to the Star Wars universe. Building the Death Star against his will, Galen has intentionally left a weakness within the design, detailed in the Death Star plans stored at a data center on the Tropical planet of Scarif also the location of the Death Star’s construction. Rogue One is a more serious Star Wars movie more suited to adults in the same vein as Empire Strikes Back or arguably Revenge of the Sith, it respectfully and nostalgically captures the same tone as A New Hope. The second half of the movie which climaxes with the Battle of Scarif, is a lot more intense and keeps up the pace brilliantly until the end. The standard of acting performances is top drawer for a Star Wars movie, and the action scenes are a hark back to the original movies. I particularly liked the scene where the rebel fleet turns up for battle at Scarif which reminded me of one of my favorite scenes from Return Of The Jedi. The movie ends just before the start of A New Hope, and this made me want to watch ANH when I got back home! So, is Rogue One better than The Force Awakens and the Prequels? Probably. But is it as good as the original movies and how does it compare to them? Only after a few years will we really know that, but Rogue One is surprisingly great and worth watching for any weathered Star Wars fan. Obi-Wan movie delayed by Episodes VIII and IX ? The character, portrayed by Ewan McGregor in the prequel films and Alec Guinness in the original trilogy, made the briefest of appearances as a spirit in last year’s The Force Awakens. Although not seen, only heard, McGregor provided one line of dialogue along with a recording of the late Guinness saying “Afraid”, edited to say “Rey”. 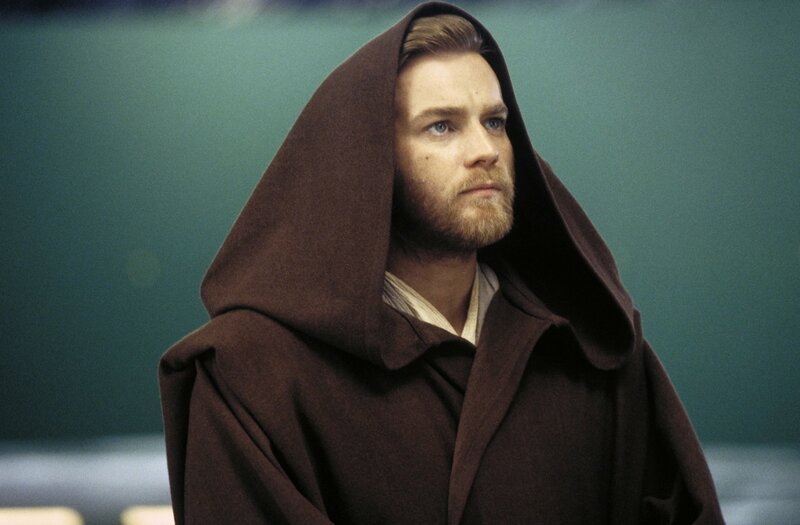 It had previously been rumored that there could be an Obi-Wan spin-off film which is certainly favorite option of the fans. But Entertainment Weekly‘s Anthony Breznican spoke with Rebel Force Radio and mentioned that the character of Obi-Wan could make a return in either Episode VIII or XI. The yet-untitled Episode VIII is set for a December 2017 release next year, with Episode IX due in 2019. The separately planned anthology stand-alone movies begin with Rogue One next month set just before Episode IV A New Hope. 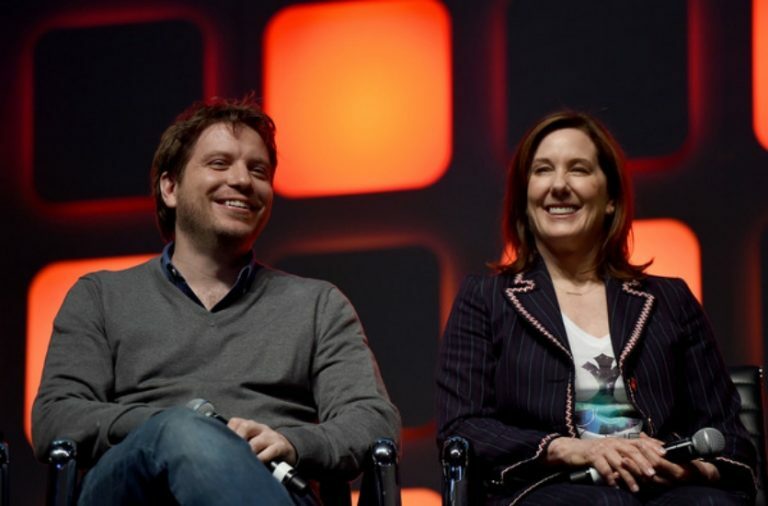 Although Lucas sold all the rights to Star Wars for $4 Billion in 2014 to Disney, the legendary visionary had ideas for The Force Awakens which were rejected in favor of J.J.Abrams plans. However, Rogue One director Gareth Edwards recently spoke to Total Film about George Lucas’ visit to the design department. Edwards says that sitting in the department was a prop that they couldn’t fit into the movie. Unfortunately, Edwards stopped short of giving us a description of the helmet in question so it’ll be hard to spot in the movie, but hopefully he’ll let us in on which one it is after the movie is released. Rogue One:A Star Wars Story Will Not Have Opening Crawl, Probably. More speculation has arrived indicating that there will be no traditional Star Wars opening crawl in Rogue One. Back in July, Lucasfilm president Kathleen Kennedy and director Gareth Edwards warned that Rogue will be a different Star Wars movie, done in a different way. Kennedy said of the possibility that Rogue One would include the familiar Star Wars trope. Rogue One director Gareth Edwards shared his thoughts too. However, back then the decision still hadn’t been made. Now Star Wars News Net are saying that thanks to a reliable source of theirs, they are confident there will be no traditional opening crawl in Rogue One. This source has also said that the film’s introduction of the story to the audience differs from the classic films in the series. Should Rogue One have the traditional Star Wars Opening Crawl? Let us know in the comments! Star Wars special effects genius Neal Scanlan suggests Rogue One:A Star Wars Story will be a different take on the universe we know and love. 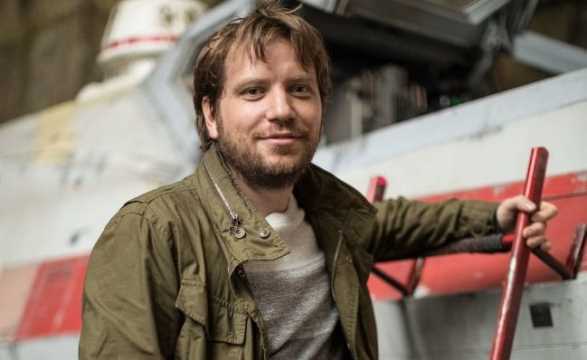 Scanlan spoke to CNET about British director for Rogue One, Gareth Edwards. Scanlan himself also worked on the droids and creatures in The Force Awakens as well as Rogue One. He was speaking at a launch event for Gillette’s new Star Wars-branded Mach 3 razors. The accompanying advert was shot on the movie’s set with extras and production design that appears in the film, giving us another look at droids, vehicles and costumes glimpsed in trailers. Scanlan was one of the crew who helped bring to life BB-8, the ball-shaped droid of “The Force Awakens”. From the moment J.J. Abrams first sketched the round robot on a napkin, Scanlan knew the cute droid would be something special. And now the effects whiz predicts “Rogue One” droid K-2SO will have a similar effect on audiences. He describes the new droid K-2SO as “full of attitude” and very different from previous humanoid droid C-3PO. The tall K-2SO is played by “Firefly” actor Alan Tudyk, whose performance was motion-captured while he wore stilt-like prosthetic legs. The sophisticated prosthetics let Tudyk jump around even though he was standing a foot above the ground, making K-2SO “the first droid with athletic prowess”. The motion-captured Star Wars droids are an example of real and computer effects combined. Still, Scanlan who previously worked for Jim Henson’s Creature Shop and did animatronics for movies including “Babe” and “Labyrinth”, professes his fondness for practical effects over CGI.